Mushroom's natural umami taste transformed into a creamy sauce. 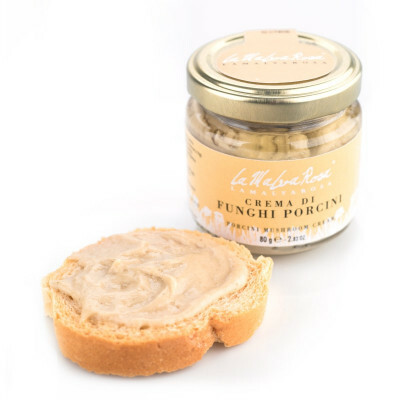 A mushroom spread is among the most versatile things you can have in the kitchen, and are a staple in many Italian kitchens. Porcini are one of the most aromatic varieties of mushrooms and make any dish stand out, whether it's a risotto, a stuffed vegetable or a quick mushroom crostini. So simple yet so indulgent. 65% porcini (Boletus edulis), olive oil, sea salt, vinegar.